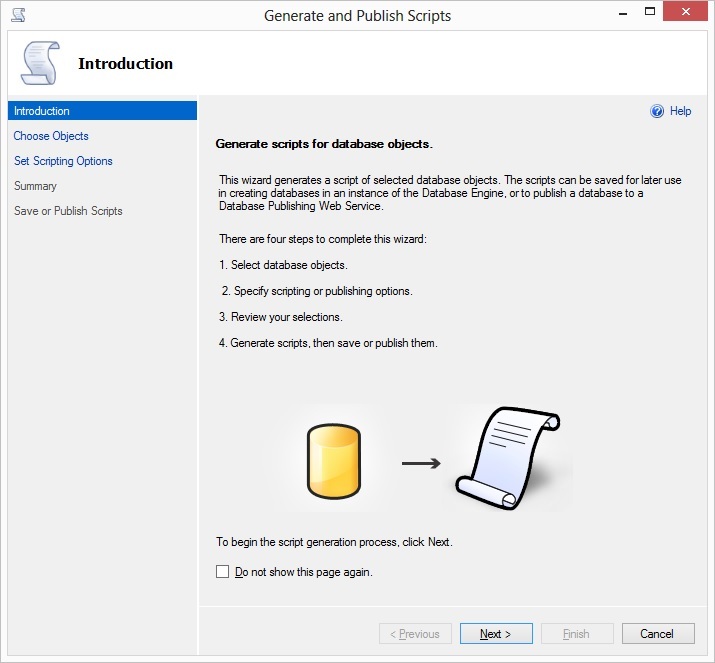 Recently my team requested to provide scripts of all objects in a database to create on another instance, so I used ‘Generate and Publish Scripts Wizard’ and created all objects on another database instance. 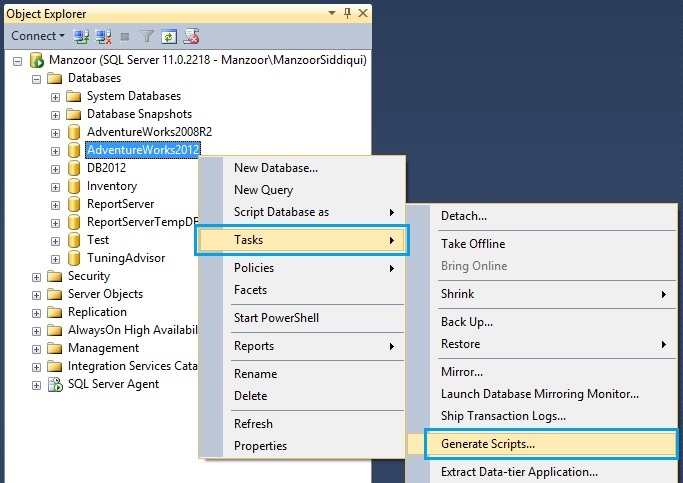 Today we are going to see how we can generate scripts with SQL Server Management Studio. We will take example of AdventureWorks2012 database here. Basically it is 4 steps process as given below. 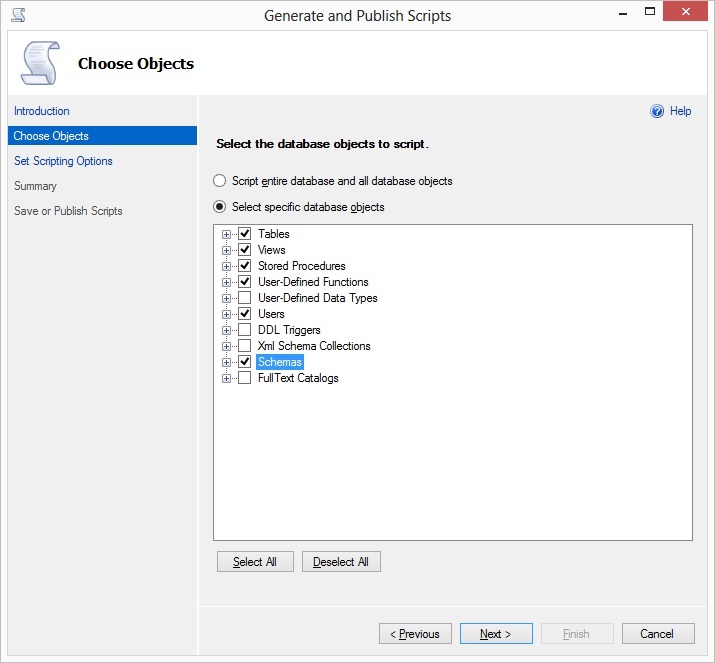 You have to select database objects to generate scripts. 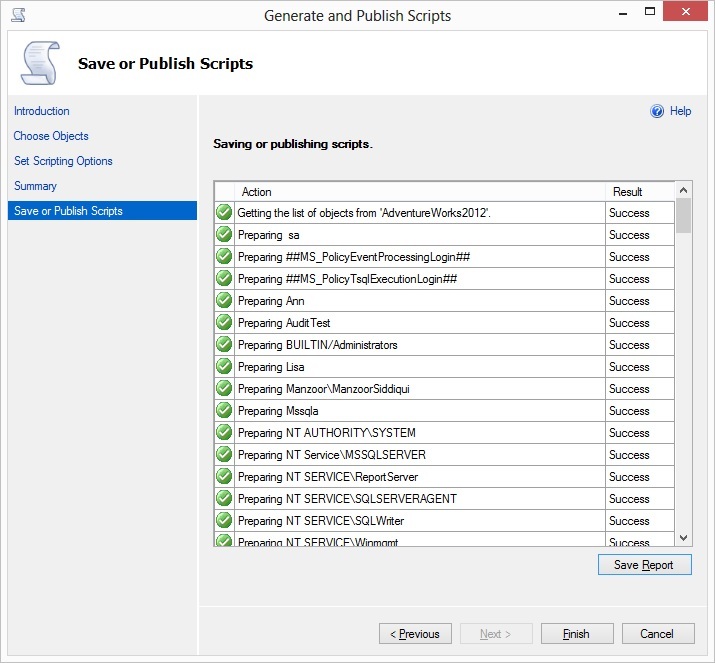 You have to specify scripting or publishing options. Review and confirm your selected objects. 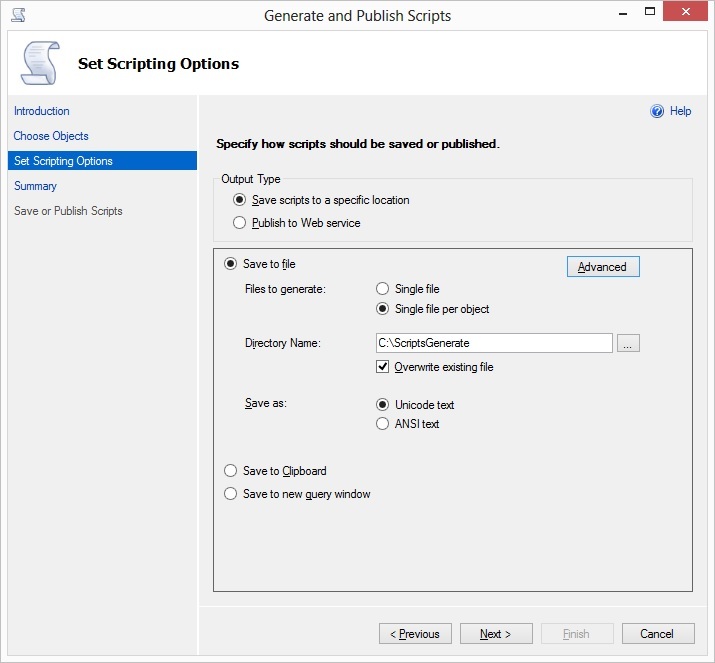 Now you can finally Generate scripts and save it. After choosing required objects you can continue wizard with Next button. You can click on Finish button to close the generate scripts wizard. Cool article! The only thing I miss is the fact that you can generate insert scripts for tables with this wizard as well. I use this a lot myself to generate insert scripts for let’s say a configuration table. 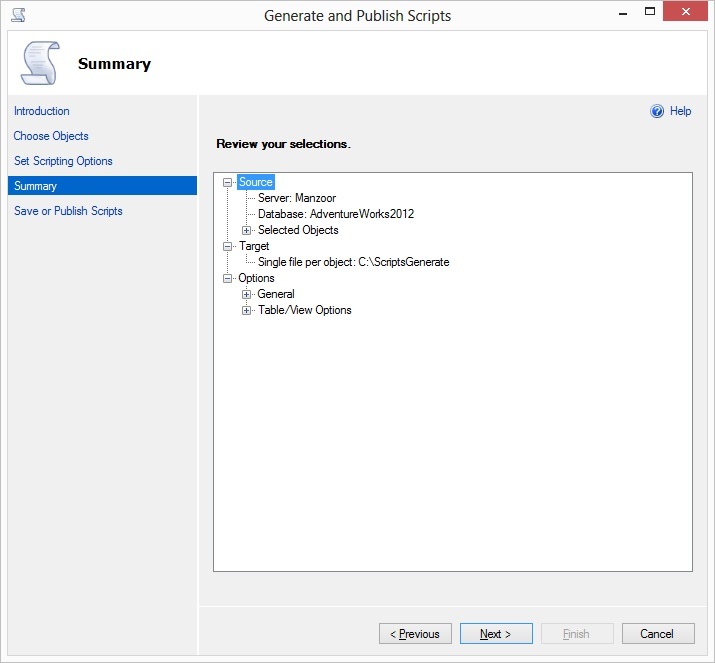 In the screen shown on figure 4, choose ‘Advanced’ and look for the option called ‘Types of data to script’. Either pick ‘Data only’ or ‘Schema and data’ to include the data in the table in your script as well. Thank you Marvin, Yes you are right ‘Types of data to script’ is excellent feature which I missed to mention in my article and Video too. I am happy you mentioned it and reader can read your useful comment.